The Bend & Flex Ring Rattle is soft and squish and makes a great gift for baby. The bright colors, different materials, and variety of surfaces help stimulate baby. The ring of the rattle bends and flexes, providing a perfect manipulation challenge for little hands. 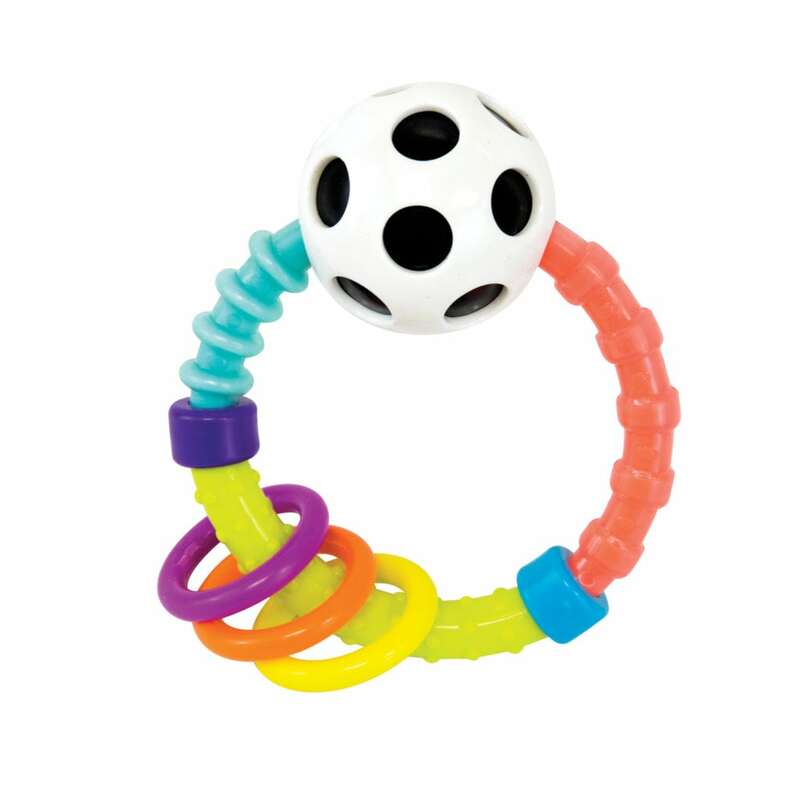 Rattle beads and click-clack black & white rings stimulate baby’s developing vision and awaken auditory awareness. The soft, squishy material is perfect for baby’s environment, and is dishwasher safe, too.